When Sylvie's almost run over in broad daylight, Tony goes undercover as her boyfriend to infiltrate the close-knit fashion community. And when they discover Sylvie's stalker may be linked to Tony's own investigation, what started as a simple plan to find his friend's killers turns into a hot bed of secrets and revelations. 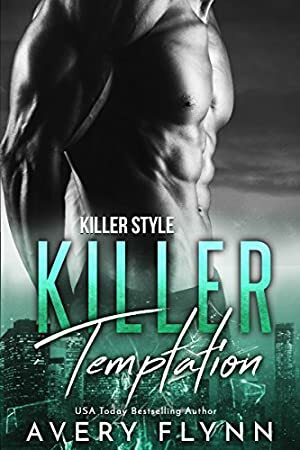 In a world full of overblown egos and dog-eat-dog ambition, Tony and Sylvie must work together to find her revenge-obsessed stalker before Sylvie ends up with a literal knife in the back. We started tracking this book on January 5, 2014. The price of this book has changed 8 times in the past 1,935 days. The current price of this book is $2.99 last checked 14 hours ago. The lowest price to date was $0.99 last reached on January 23, 2017. The highest price to date was $2.99 last reached on January 31, 2017. We last verified the price of this book about 14 hours ago. At that time, the price was $2.99. This price is subject to change. The price displayed on the Amazon.com website at the time of purchase is the price you will pay for this book. Please confirm the price before making any purchases.